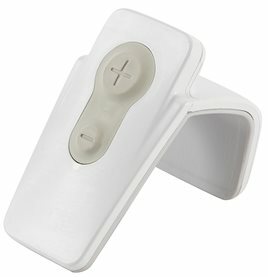 In the form of a hand-held remote control, the Pristina Dueta is the industry's first patient-assisted compression device for mammograms. With the technologist at her side, women now can achieve the compression that feel right for them. Fitting comfortably into the palm of the hand, the device allows each woman to adjust the compression under the guidance of her technologist. When women feel a sense of control, patient comfort is increased, anxiety is decreased2. 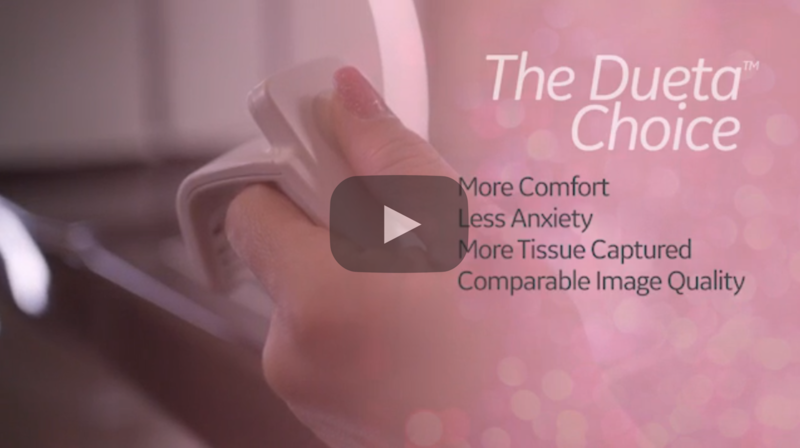 This is why, Pristina Dueta is a small device making a big impact on today’s women health transformation. How does it impact image quality? Under the supervision of the technologist, women apply additional compression with the press of the button. It’s a new sense of control coupled with clinical safeguards, designed to meet the needs of patients and practitioners alike. Is this a DIY Mammogram? 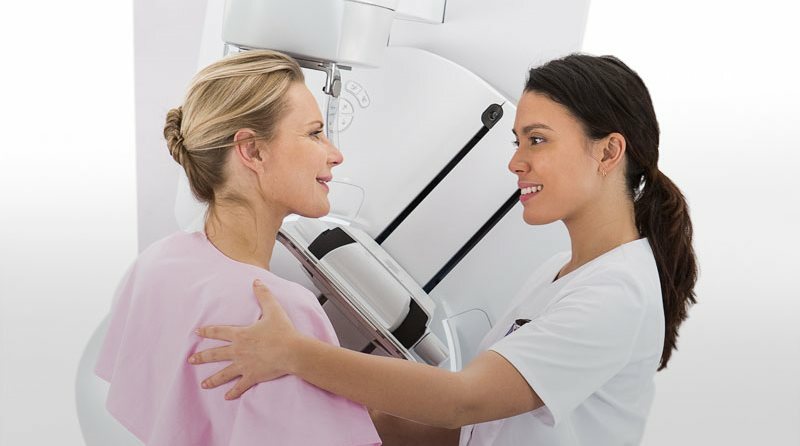 This is a Do-it-Together mammogram. With the help of a supervising technologist, Pristina Dueta empowers women and enables them to be involved in their mammography exam. With the help of a supervising technologist, Pristina Dueta empowers women and enables them to be involved in their mammography. What do radiologists and technologists say about Pristina Dueta? What do women say about Pristina Dueta? *Trademark of the General Electric Company. Not all products are available in all countries. For more information about products and services that are available in your country, please contact your GE Healthcare sales representative. Based on clinical evaluation conducted on 30 patients undergoing standard FFDM views (CC and MLO) June 2017. Data on file.